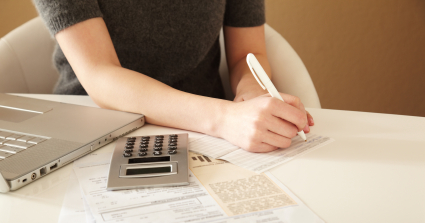 Debt management companies offer another option for those who are having trouble with debt. The services they offer are not as a big a step as some other forms of debt reduction but using debt management companies is not a decision that should be taken lightly and without proper knowledge. When people use the services of debt management companies, debts are consolidated and a single payment is made to the company month. In return, the company will use that money to pay of the creditors over an agreed period of time. While this may sound like a debit consolidation loan, it is not. In this process, new loans are not made, and all the debt is unsecured. Those considering using debt management services will first approach companies for consultation or may be ordered to do so by the courts. After the debtor’s financial situation has been scrutinized, the debits will be prioritized and a plan to pay off the debts worked out. The debt management company will negotiate on the behalf of the creditor to reduce fees and interest payments. After an agreement has been made and if all goes as planned, the rest of the payments will be made through the debt management company as will any communication. 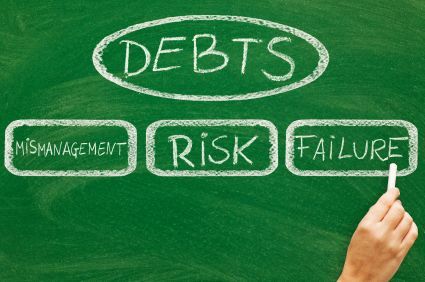 Those using debt management services are offered a chance to pay off their debt without going through more drastic steps to include bankruptcy, and everything is combined in a single, consolidated loan. If used properly, these services offer debtors breathing space from fees and interest, and may be able to reduce the principle to be paid in any plan to pay off their debts. It can also free them from creditor harassment. While some people work out similar deals with their creditors without going through third parties, this course of action is impossible for those not so skilled at negotiating or unable to approach their creditors in this manner for other reasons. A good debt management company will have experience and intimate knowledge of creditors that can help them get the best possible deals for their clients. Keep in mind that debt management companies are in business to make money and intend to profit from their clients. While some will try to disguise the fee hide it in the payment, something will be charged, and it may be high. Make sure the fee will be worth the services provided. In addition, using these services will show up one’s credit report and have a negative impact. Those going into debt management first need to shop around carefully and talk to at least a few different companies. Use the internet and any offline methods available to check the reputation and reviews of the companies being considered. Generally, one should go with a company that has been in business for a while. If the company will not offer a free consultation or is not upfront about any fees that will be incurred if a deal is struck, it is likely a good choice to go with. In addition, fees are higher than average it should be considered a warning sign. Stay clear of any company that does not have a consumer credit license, since they are required by law to have one. Everything must be put down clearly in writing, and it is important to confirm that all the creditors agree to the terms if an agreement is reached. Furthermore, nothing should be paid out until everything has been agreed upon. Be certain to make all payments on time and to keep records of them. Finally, know the cancellation clauses before agreeing to anything. There are also nonprofits that offer debt management services. While the waits for their services can be long, they often offer the best options for debtors. Reaching an agreement on one’s debt and starting a payment plan, be it through a company or directly, will never solve debt problems without a change in the behavior that gets people into debt in the first place. While some are victims of things behind their control, most people who run up a lot of unsecured consumer debt do so through their spending behavior. 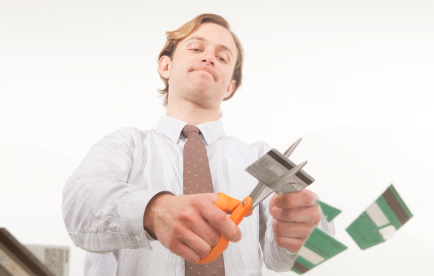 There are numerous ways to reduce personal debt. However, they all start with simply sitting down tallying up income and expenses and then reducing expenditures to a point below income. Any savings in a budget first needs to go to pay off credit card debt and other high-interest debt. Debt reduction services should only be used as a last resort. Instead, make saving money and budgeting a part of daily life. Nowadays, there are various budgeting tools to include budgeting spreadsheets and online budgeting. Learning to understand the importance of saving moneyand living debt free is the only real long-term solution to debt problems.